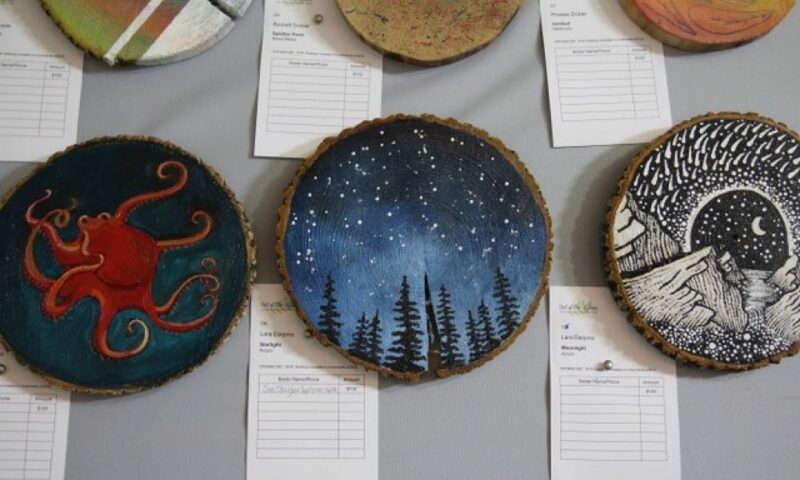 Hopewell Valley Arts Council is proud to present The Art of Upcycling Pop-Up Gallery at Pennington’s Memorial Day Concert on Monday, May 30, 2016 from 5:30-7:30pm at Howe Commons, Pennington Professional Center, Main Street in Pennington. Plus, we’ve got two holiday treats for you! Enter our drawing to win four tickets to this year’s aMAZing Pumpkin Carve, plus four Pumpkin Carve t-shirts! Stop by our table at the Memorial Day concert: it’s the only way to enter! Join the Arts Council ANYTIME Memorial Day weekend, ONLINE OR AT OUR TABLE at the Memorial Day concert, and we’ll include two aMAZing Pumpkin Carve tickets, as well as a tote bag or t-shirt, with every new membership! We are delighted to bring visual arts to the annual Pennington Memorial Day concert and introduce our new theme for 2016-2017, The Art of Upcycling! Originally scheduled for Pennington Day, this pop-up gallery needs dry weather so we are hoping to have better luck this weekend. Watch for us to be marching in the Pennington Memorial Day Parade in the morning then come see us at the concert. 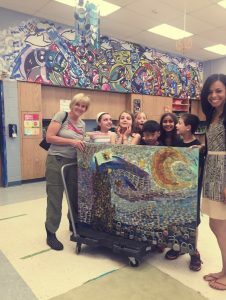 HV Arts Council Program Director Carol Lipson picking up upcycled “Starry Night” created several years ago by Bear Tavern Elementary artists. Thanks, Ms. Joslyn Johnson, BT art teacher, and BT kids for the loan! e Olexa, Sara Keeler, Leon Rainbow, Carl Geisler, Linda Iannacone, Sandy Bonasera, Nancy Stark, Chris Schuster, Ken McIndoe, Willie Henderson, and Hopewell Valley students. Plus, see a few the pizza box portraits from our April workshop at the Pennington Public Library. Get the full picture: Find out what’s happening in the local arts scene, our plans for 2016 and beyond, and how to get involved with the HV Arts Council. Join the Arts Council on Memorial Day weekend and we’ll include two aMAZing Pumpkin Carve tickets, as well as a tote bag or t-shirt, with every new membership!